As stated in yesterday’s blog, I was invited by my friends, Bob and Veronique Pittman, to the quaint Mexican town of San Miguel de Allende, to celebrate the successful launch of Casa Dragones, their fabulous artisanal tequila. Casa Dragones is unlike any other tequila. Their Maestro Tequilero begins with the centuries-old art of tequila making using blue agave and modernizes it through an innovative process. 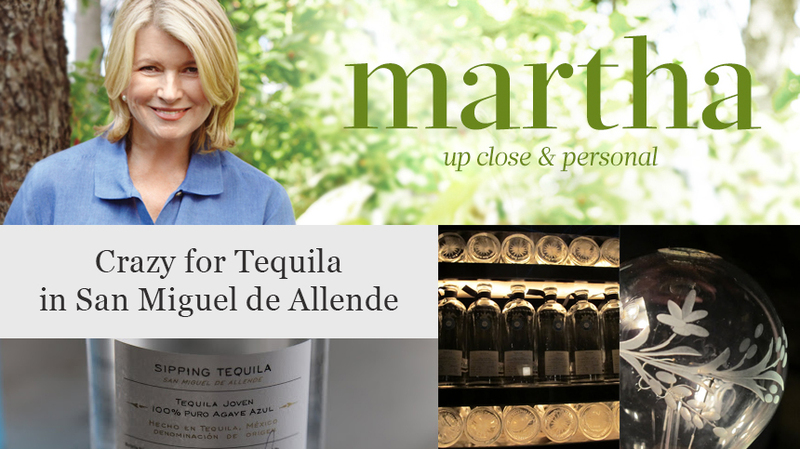 The result is an extremely smooth tequila with a refined character and a soft finish – a true sipping tequila. Casa Dragones not only tastes great, but it looks great, too. In fact, they are the first Mexican brand to win the most prestigious product design award in France! The lovely and historic hacienda, La Casa Dragones, is home to this fantastic tequila and we went there for a tequila tasting and a glass engraving demonstration. Please enjoy more photos of my fun trip to Mexico. Read more here.